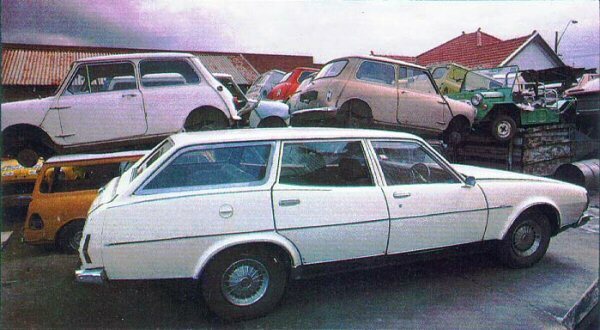 In 1973, Leyland Australia announced that all former Austin and Morris cars would be replaced by a sweeping range of new Leyland-badged cars. Keith Adams tells the Leyland P76 development story, which was at the heart of this new strategy. 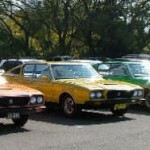 It was an ambitious plan, where BLMC wanted to compete with the locally-produced Chrysler Valiant, Ford Falcon and Holden Kingswood. 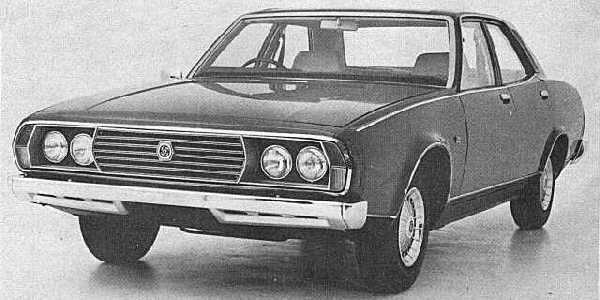 The P76 was conceived by Leyland Australia and was, from the beginning, designed specifically for that market alone. The optimism felt by the company during the late 1960s allowed for this kind of forward planning, as BMC had always performed pretty well in the Australian market. Following the formation of BLMC in the UK, there was a real sense of optimism for the future, which quickly rubbed off onto the foreign divisions. In Australia especially, this was particularly evident, where sales success of BMC coupled with the financial muscle of Leyland International should have proved unstoppable. The project that became the Leyland P76 began in the last years of BMC Australia. The idea that BMC Australia should produce cars of their own design rather than using or slightly modifying UK designs came out of a study conducted by the Advance Model Group of BMC Australia in 1967. The plan was to design and build a medium and a large car. The MD of BMC Australia and David Beech, Director of Development and Production, visited the UK in November 1968 seeking approval to go-ahead with their project. While there, they were shown the plans for the Morris Marina, which they decided to use instead of going ahead with their own mid-sized car. 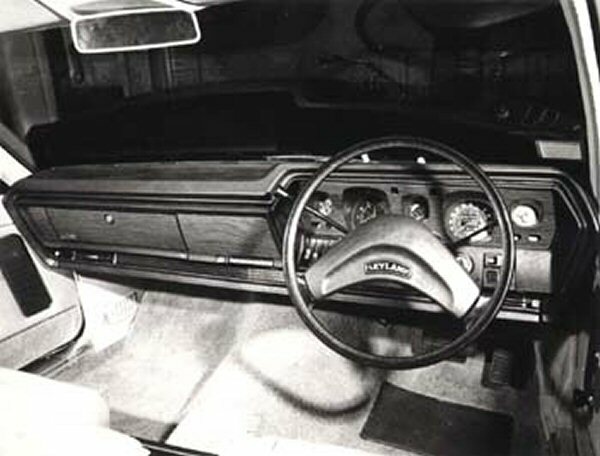 The introduction of the Marina was given priority, and it was March of 1969 before design work began on the P76. It had been decided that the car would have an in-line engine and be rear-wheel drive, and that the Australian company would undertake all the engineering work other than the sheet metal and press tool design. 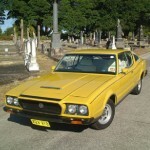 Leyland P76: Italian and British design for Australia? 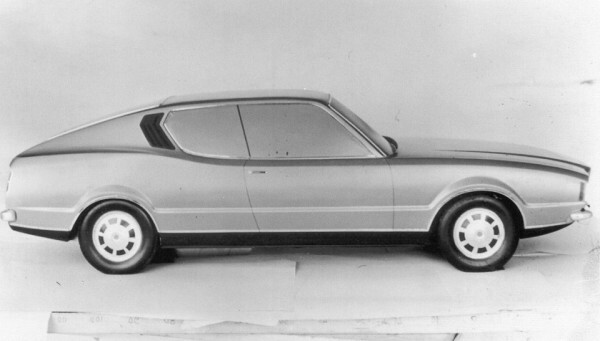 Michelotti’s proposal for the SD1 programme – was this a Triumph Puma that evolved into the P76? The P76 was officially commissioned in late 1968, and the main design work commenced in March 1969. 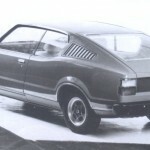 Because of the desire to produce a car specifically tailored to the Australian market, it was Australian product planners who devised the make-up of the new car – although probably after seeing the ongoing work on Rover-Triumph’s upcoming large car, what would become the Rover SD1. Did that mean this important new Australian car would incorporate the hardware being developed in Solihull and Canley? A development budget of A$21m (about £8.5m), which included the cost of refurbishing the Sydney production line probably forced the issue – and the Australians’ willingness to adopt the Marina almost unmodified would back up this assertion. There was no way that this was going to be a clean-sheet design at this funding level and much existing Rover-Triumph hardware would need to be incorporated in order to make the P76 programme pay for itself. It would certainly be a preferable strategy to starting afresh with a clean sheet of paper – but incorporated many of the advantages of doing so, such as tailoring the design for the rather specific demands of the Australian motorists. 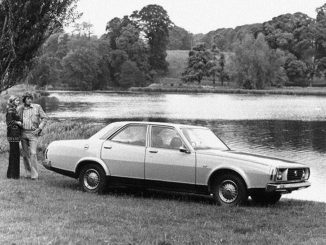 A more obviously adapted UK product didn’t always work well – the Austin Kimberley for instance, did not have a large enough boot or engine to compete in the mainstream end of the market. 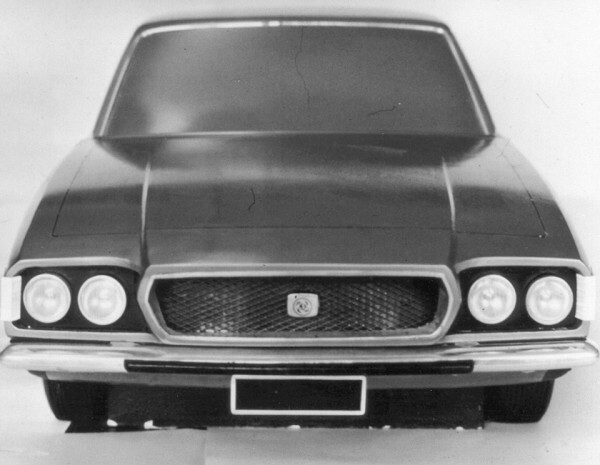 Harry Webster wielded much influence at BLMC, so it comes as no surprise to find that his favoured design house, Michelotti, was entrusted with the P76 job – although that decision was probably only taken after the Australians agreed to it. 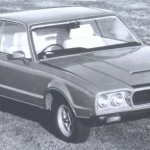 Leyland Australia had originally planned to have Ital Design style the car, but Beech and Giorgetto Giugiaro did not get on with each other and, in February of 1970, Michelotti was commissioned to do the job instead – and the end result featured a light front- and rear-end restyled as penned by Beech. 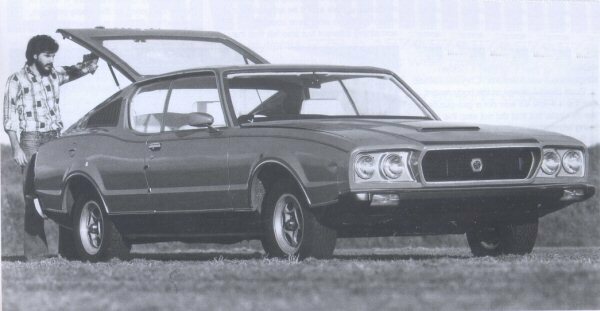 BLMC kept Michelotti busy during these early years, and the P76 was one of many Leyland-badged projects he became involved with, although all of the others were cabs for commercial vehicles. Coming from the background of car design, which included the Herald, 2000 and 1300, choosing Michelotti was a prudent decision to make. 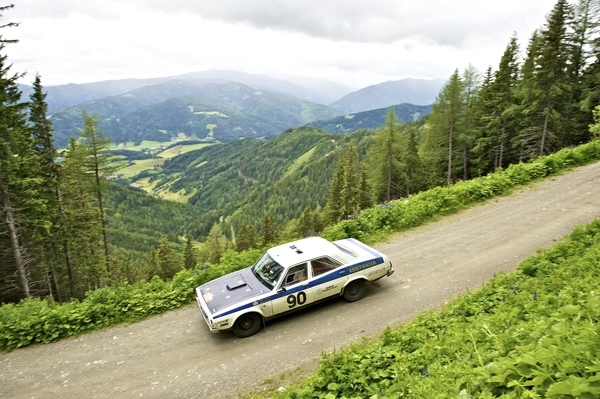 It seemed that his Triumph saloons travelled especially well. 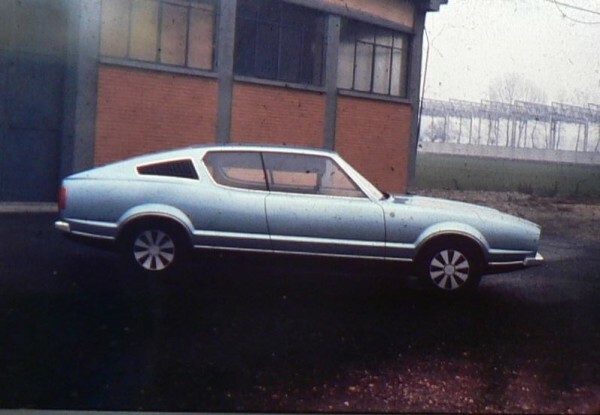 Of the P76 designs, it was the Force 7 Coupe that remained an untouched Michelotti design. One question that has yet to be satisfactorily answered is whether the P76’s styling is related to any of the work that was ongoing in BL’s Specialist Division at the time. 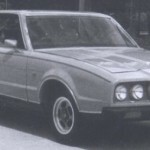 We already know that the P76 and SD1 share a lot of componentry under the skin, but it’s an easy conclusion to arrive at that the Michelotti-styled body of the P76 was closely related to one of the failed Michelotti-styled proposals for the Triumph Puma project – that ended up being passed over in favour of the Rover P10/SD1. Interviewed in Motor magazine in 1973, David Beech, offered some fascinating insights into the P76 development programme: ‘The Australians like to change their cars often. We found we could sell a bloke two 1100s, even three, but there was no way in the world we could sell him four. ‘We decided that if we were to take a fair profitable share of the market we needed to design and make our own cars. So we got a team together and planned two models to cover the market: model A and B. I was about to fly to England to talk over our plan with BMC when Leyland and BMC merged. ‘That set us back, because we had to get to know new people, who really did not want to know our problems. They were too concerned at their own lack of new model programmes. However, we found that they were going ahead in double quick time with a new car, the Marina – and, as this particular design was so near own concept, we decided to make the Marina and cut our costs. That left Model B to do ourselves,’ he said. The V8 Landcrab was built in prototype form, but its handling could not be tailored effectively. Following this foray into front-wheel drive, the more usual front engine, rear-wheel drive option pretty much chose itself. In 1971, Leyland Australia announced that the new car was under way. Continuing, David recalled, ‘In designing the P76 we’ve given major consideration to accessibility, to make the mechanics’ job as easy as possible and to cut down maintenance costs to the owner. Our whole philosophy has been to use well-established principles, simple assembly, and well-proven parts and units that are easily obtainable. We have been able to cover the widest sector of the market with one body shell with alternative engines, transmissions and trim. ‘We’ve not gone for high top gear because Australian States and many of the areas to which we’ll be selling have 70mph limits. Instead we’ve gone for torque to give rapid acceleration in the lower speeds and good pulling power, while at the same time having a fairly high top gear for easy cruising. With our full P76 range we cover 60 per cent of the market, and with the Marina and Mini we’ve got blanket coverage in the cheapest way. In the meantime, the fortunes of Leyland Australia had taken something of a downturn since the project’s instigation in 1969. Falling sales would provide much of the blame for this, and it soon became clear that the future success of Leyland Australia would lie directly at the door of the P76. By 1973, the company had lost Aus $15m (£8.6 million), all of it during the P76’s development programme, and so the company took on Aus $15m in Eurodollar loans to assist in funding the project. David concluded, ‘With the P76 we are not offering the customer just another Holden, Falcon or Valiant, but a car that is comparable in size and performance to the American type with European standards regarding ride, handling and roadholding plus superior interior appointments. 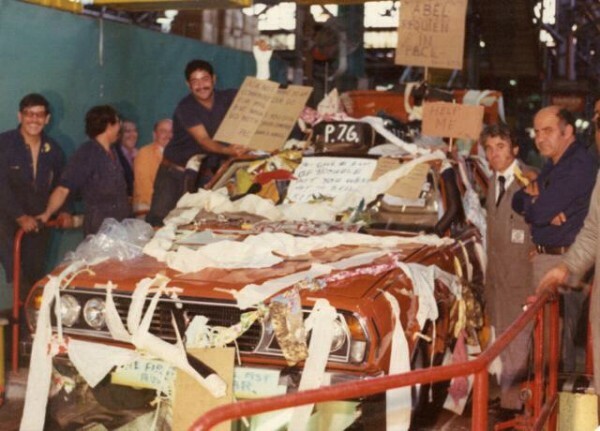 When the P76 was launched on 1 June 1973, Leyland Australia had already accrued losses totalling Aus $30m, and it provided something of a grim backdrop to the car’s launch. 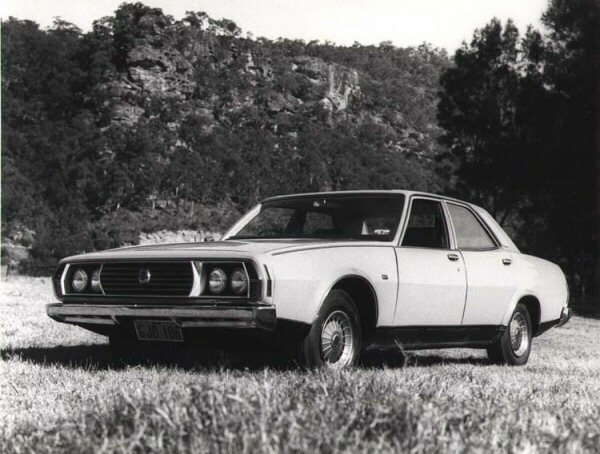 Be that as it may, Leyland Australia was confident that the P76 would bring home the bacon. Management in Australia had done their sums, and British approval for the project had been a formality – Michelotti (and Beech) had produced a stylish car, very much in tune with the times – and allied with a promising technical specification, they had every right to be confident. The P76 was offered with a longitudinally mounted E6 engine, which had been expanded from 2227cc (as used in the Kimberley) to 2622cc. This expansion had been achieved by stroking the engine the same amount as it had been in the E4 version to create the 1748cc version out of the 1485cc original. Although power was up slightly to 121bhp, torque was increased usefully to 165lb ft.
A larger-engined version used the Rover V8 engine in manual or automatic form. This version was available in 4416cc displacement, as opposed to the standard 3528cc used in European and US Rovers. Quoted power for this version was 192bhp, and torque was a useful 285lb ft. The larger engine was one of the few elements of the abandoned Rover P8, scrapped in 1971, that had survived to fight another day. 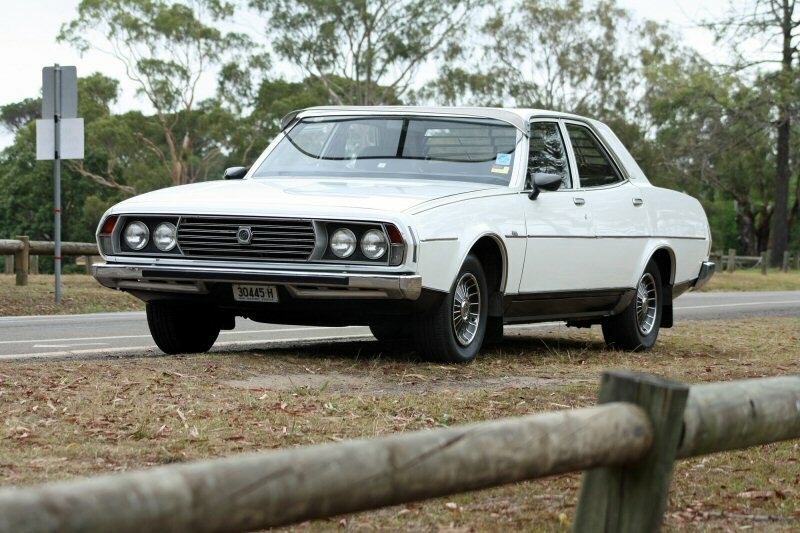 For Australians used to engines over 5.0-litres and 270-300bhp, the P76 might have seemed a little under-powered, but in V8 form it pretty much matched the performance of its larger-engined rivals. The body engineering was fascinating: in the interests of manufacturing economy, the amount of separate pressings was kept to a minimum, with a large number of small pressings being replaced by complex panels. 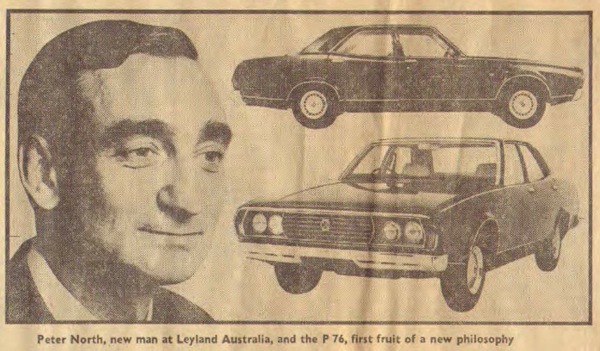 Leyland Australia proudly claimed that the P76 actually used two pressings less than the Mini – economy indeed! The boot was also a huge 35cu ft and, importantly, could hold a steel drum without difficulty (another alleged Australian design stipulation). 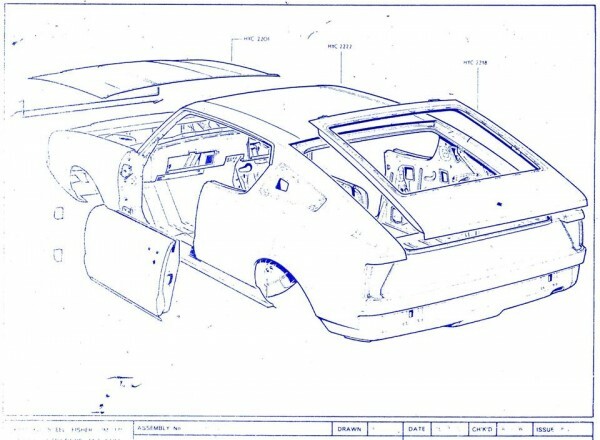 There were plans for a coupe version, named the Force 7, to be offered alongside the planned-for station wagon and ubiquitous Ute (pick-up truck). This range of cars never reached fruition though, because Leyland pulled out of Australia in 1975 – before they made production. 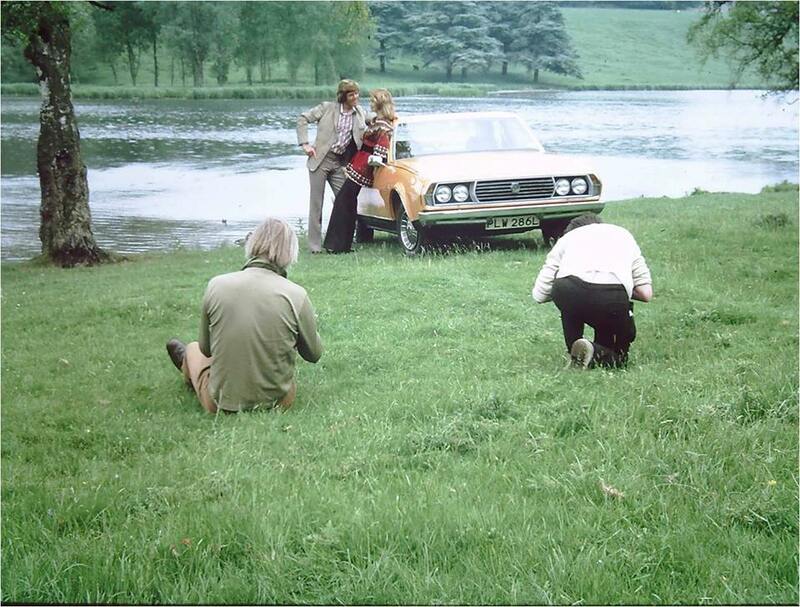 As has been widely reported, one of the Force 7 Coupes made it back to the UK, and the engineering of its hatchback rear end is reported to have been used during the development of the SD1 programme before falling into the ownership of BL Chairman, Lord Stokes. 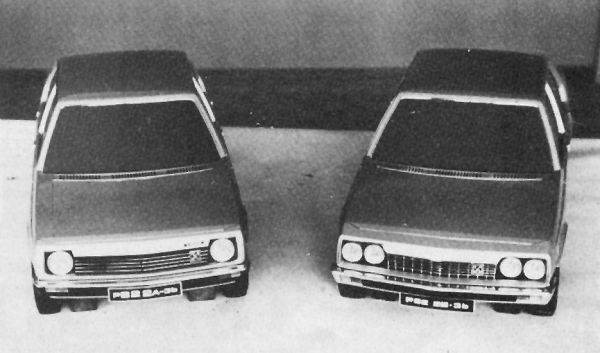 It is obvious from the above picture that the Force 7 shared no external panels with the P76 saloon; and it had a certain style. 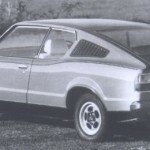 Considering the tiny A$21 million budget Leyland had its disposal to cover the entire P76 programme, it is amazing to note that the coupe model shared no exterior panels with the P76 Saloon. 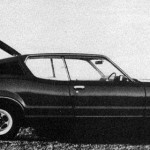 It is also interesting to note that, had the P76 Force 7V entered full-scale production, it would have been Australia’s first locally-designed hatchback. Unfortunately, Leyland Australia collapsed before the P76 could reach fruition and the axe fell on the rest of the range. 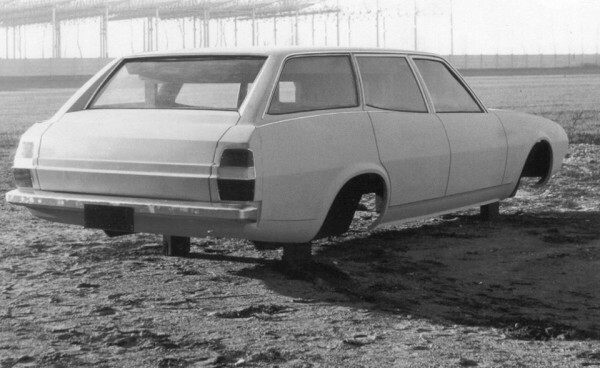 As it was, 58 cars were built in late 1973 for the planned launch in February 1974, before the plug was pulled. This run of now extinct models were ordered to the crusher – and, in doing so they were driven from Zetland (The Leyland-Enfield plant in Sydney) to the Enfield Transport Terminal, where they were loaded onto trucks to take them to the Simsmetal scrap metal dealers. Of these, 10 cars were auctioned off on the understanding that they were ‘Uncompliant’ for road useage (they had been complianced for use in Australia, but had their VIN plates removed), but most were subsequently registered anyway! 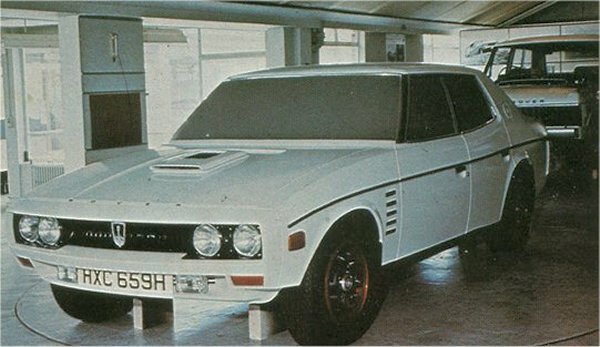 One of these was shipped to the UK for evaluation, and was apparently used during the development of the SD1 (the Rover Sports Register reportedly accepts it as an SD1 prototype!). The car was later used by Lord Stokes as his personal transport, before being sold via auction to an enthusiast. According to Warrewyk Williams, all ten of these Force 7s survive to this day. Table information supplied by Warrewyk Williams. Thanks to Norman Julian for image permission. 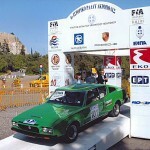 Harry Zaglanikis’ Green/White Force 7 is a rally regular, and has been to Greece, Turkey, Italy and Austria. This is the only known P76 station wagon in existence, and is owned by a collector from Sydney. Interestingly, for a low-budget effort, it used different rear door frames to the saloon version. (Picture supplied by Stuart Brown, from his P76 Website). The Leyland P76 station wagon is another missed opportunity that shows just how much potential this large saloon from Australia actually had. Just like the Force 7V Coupe, it was a victim of both a severely limited development, and the ultimate closure of the Zetland factory. Its development was well underway in 1973, when the decision was taken to curtail the programme in favour of the Force 7 coupes. The end result is that a mere three were built, of which only one is left – the white example in the picture above. 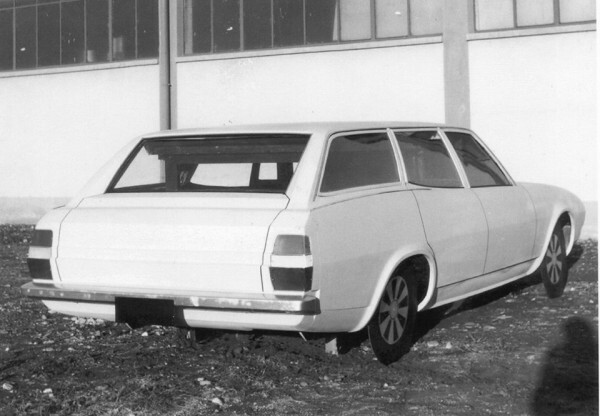 According to the Leyland Club of Victoria, of the the three cars, plus a glass fibre mock-up (below), the first two were made by the ‘experimental’ department and undertook much testing before being destroyed. The station wagon differed from the saloon by its unique rear doors and window frames. 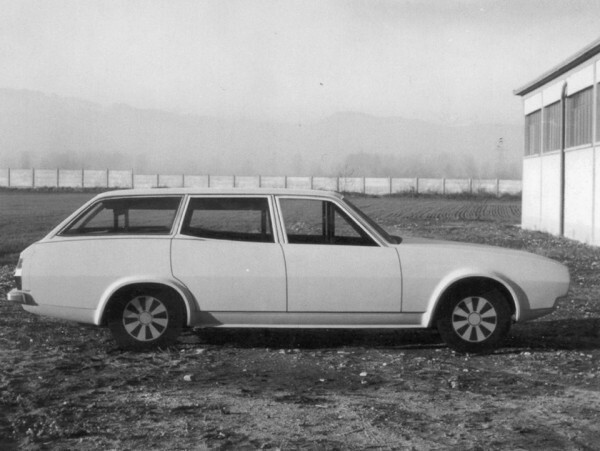 But it wasn’t a perfect estate conversion by any means – the rear tumblehome was considerable, while the standard wheelbase meant there was no more interior room than the saloon version. 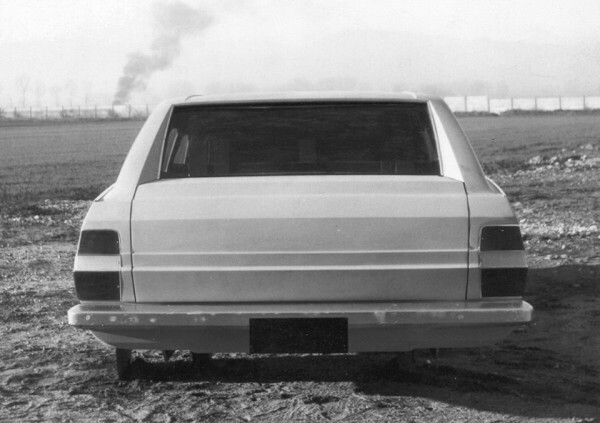 Although the definitive car had a split tailgate, it’s suggested that Leyland Australia also experimented with a single piece item. Missed opportunity or close escape? 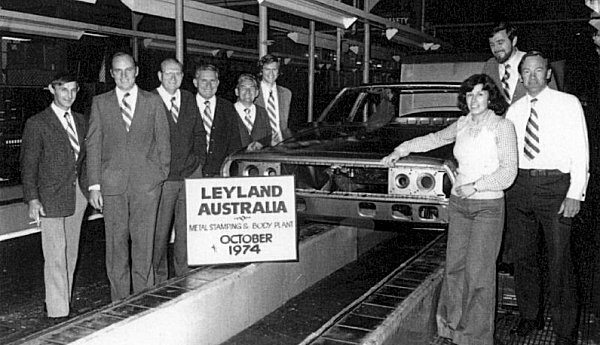 The Leyland P76 was unfortunately very short lived (being taken out of production at the end of 1974), and this is because BLMC was forced to close the Leyland-Australia factory at Zetland, downsizing the operation significantly. This undertaking cost the company £15.7 million and was very much a last ditch attempt to keep the parent company afloat in the UK. 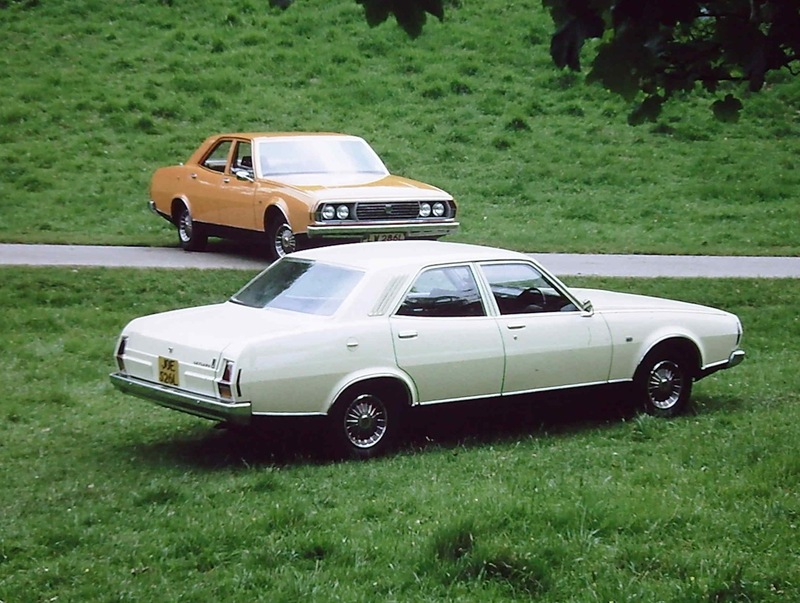 As an interesting footnote, John Mackesy (who worked on the project) recalls V6 development work: ‘Leyland fitted a Buick V6 to a P76, the same V6 that is the distant ancestor of the Holden V6. This engine was a 90 degree V6, with uneven firing order. To date only one known genuine P76 wagon exists. Antique Parchment was available with beige, dark brown, black or blue carpet. Lower door trims were carpeted to match the floor colour on Super and Executive models. Leyland P76 : Missed opportunity in the UK?